The state’s largest coffee plantation is located on Kaua‘i’s southwest side, about 17 miles from Lihu‘e Airport. A 3,100-acre estate, KAUAI COFFEE COMPANY PLANTATION boasts tours, lines of coffee trees (4 million trees total!) and even a visitor center for the curious coffee drinker. KAUAI COFFEE VISITOR CENTER offers information about coffee growing and its history. While there, you also can explore through the “WALL-LESS COFFEE MAZE” that doubles as a walking tour, with signage providing information about the coffee-growing process. A COFFEE BAR also offers freshly roasted coffee and snacks, and you can sample a variety of the coffees made by Kauai Coffee. As a fun fact, Kauai Coffee trees begin to bloom in February or March. By May, the fruit, or coffee cherry, starts to form. The fruit usually ripens by late September, when harvesting begins. The seeds of the fruit, usually two to a cherry, become the coffee bean. Nearly 4,000 coffee beans must be harvested to produce a single pound of coffee. The rich volcanic soil and plentiful mountain rain give Kauai Coffee’s java its delightful flavor. The center is just past KALAHEO going west toward WAIMEA CANYON. Watch for the sign on the makai (ocean) side of Highway 50. 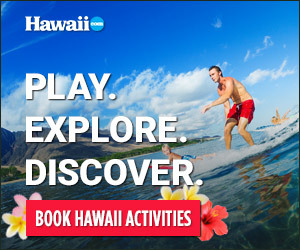 Visit kauaicoffee.com for hours and information.